The Springball, also known as a chinese lantern radiates a soft surround lighting effect with fewer shadows than conventional lights. They are easy to set up and collapse to a small size. We have three sizes: 30″ with a 2kw bulb, 22″ with a 1kw bulb and 19″ with a 500w bulb. 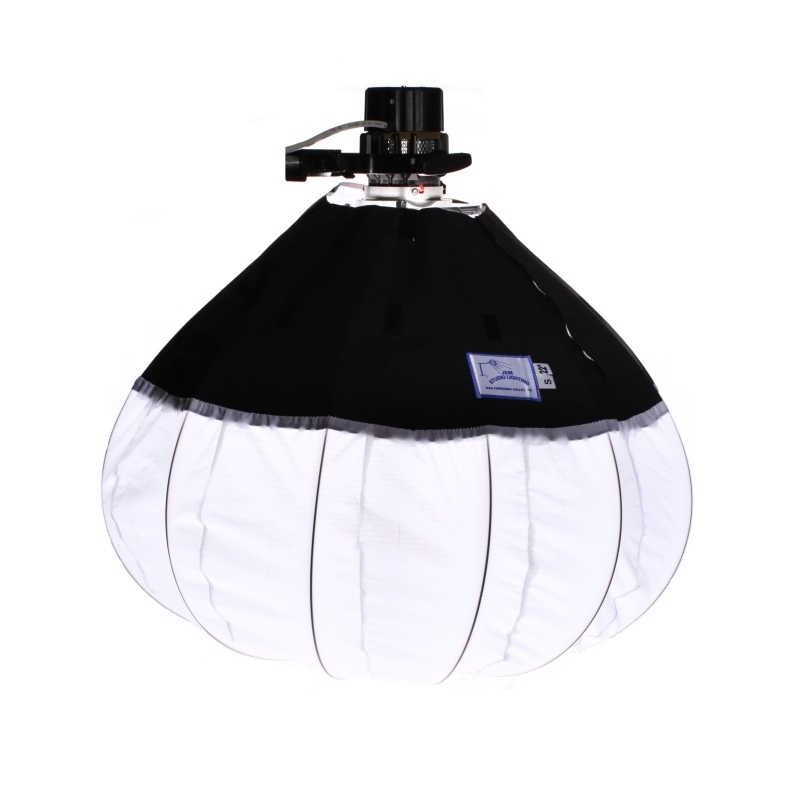 Our 30″ Springball can also be supplied with an attachment to fit onto our Joker 800w giving you a daylight option. thanks for forwarding on information about the Springballs.